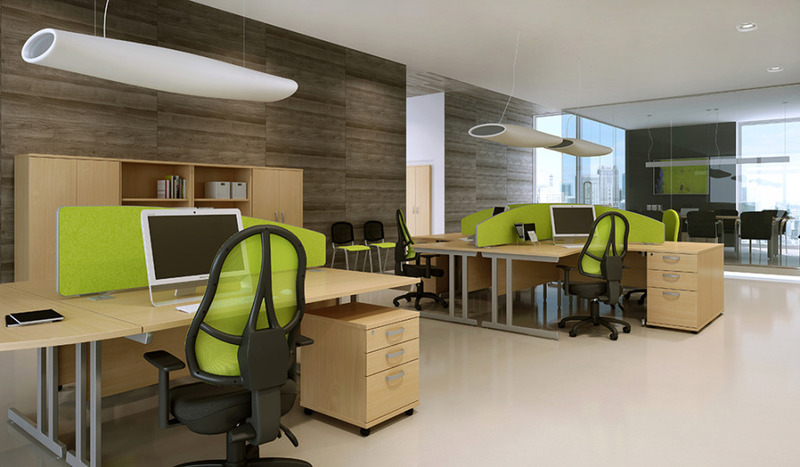 At Online Reality, we understand that functionality and appearance are of utmost importance when it comes to an office environment. Our highly rated Revoloution furniture range combines style with flexibility. A number of variations are achievable due to the numerous shapes and sizes available throughout the Revolution range. The Revolution desk range has been designed with the user in mind and has key features contributing to overall efficiency within the work place. These features include a 25mm desk top with two stylish silver cable portholes allowing cables to run through on the left or right hand side. There is also an 18mm modestly panel which ensures stability and privacy for each user. One other characteristic of the desk range is the double strut cantilever leg which again enhances stability and weight tolerance. The features explained above are usually limited on entry level furniture, but Revolution combines all of these making it an attractive option against other ranges. The Revolution range comes in a variety of striking finishes, making it suitable for any colour scheme you may have in mind. If you’re unsure of the finish which would most suit your backdrop, give one of our sales team a call, they will be happy to send out some samples which gives you the chance to gain a proper feel of the finish. Despite the excellent value for money there are no cutting corners anywhere. 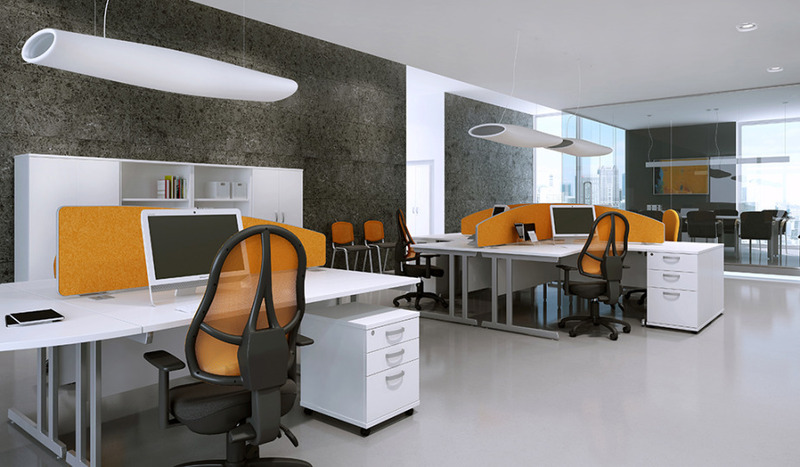 With the products in the range coming with a 5 year guarantee, you can keep the focus on the important work and have peace of mind that you can rely on your furniture to allow your employees to work safely and comfortably with the biotechnical design implemented throughout.